I’m not entirely sure how to describe the upcoming PlayStation 4 and PC game Refactor, so I’m going to let Bob Webb, Lead Developer and CEO of developer NextGen Pants, describe it for me. 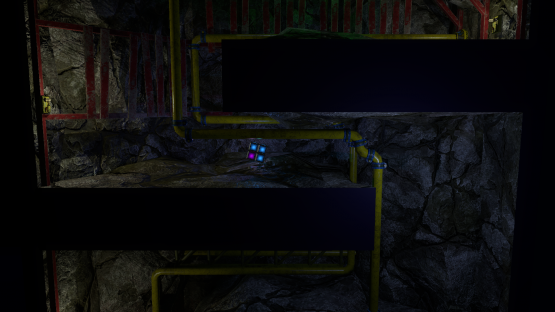 “It’s an action puzzle platformer set inside of a puzzle. So the world is a puzzle. As you’re kind of platforming around the world, you actually get the ability to rearrange the world,” he told me at PAX East 2016, where I got to try out the game. “It is like a Metroidvania, so the joke is its a Tetroidvania. As you develop your character, (you) get new abilities. and opens up more and more of the world through the character abilities, but also as you explore the world and you unlock more rooms that you can move, you get more access to more and more places,” he said. Confused? Me too. But, I do know that I really enjoyed what I played, even if it’s difficult to truly grasp the mechanics and scope of the game. You play as a bunch of little blocks melded together to form, I guess, a bigger block. That block can jump, it can roll around, and it can even attack enemies in it’s own blocky way, and it is entirely governed by physics. Physics define the game, in that the block actually moves like a block, gravity seems to work like gravity, and everything just feels natural. It’s tough to explain without having you play the game, but, man, it is very satisfying and relaxing moving that block around the levels — it’s just so physics-y. I know I sounds weird, but Webb mentioned that I’m not alone when I say it is satisfying; other players told him that too. There’s a complex story behind the blocks, where they are sort of rebels in this totalitarian society, but I’m not going to get into that here. Instead, I want to focus on the Tetroid part of Refactor, which is in the world building. 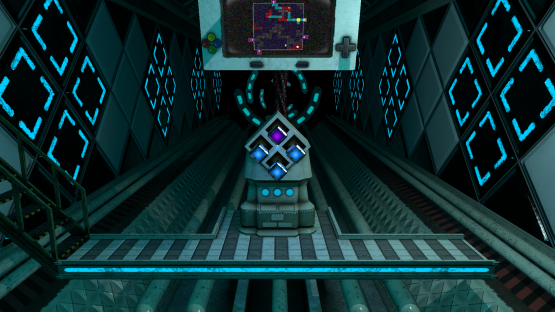 As you probably gleaned from Webb’s quotes above, players have to rearrange the world using Tetroid-like pieces by moving them, flipping them, and slapping them together to create pathways from one end of a stage to another end of a stage.Each piece is actually representative of an individual room, as the room is the same shape as the piece. And this is where it gets even more complex. When players flip one of the pieces to make it fit better with the other pieces, it actually flips the room that piece represents, changing gravity. For example, I went into one wide room, with plenty of platforms for me to jump on and a few little traps for me to avoid. It was easy to get through, until I flipped the room, making it long instead of wide. The gravity changed, and I spent a good few minutes trying to get from the bottom of the room (which was previously the right side) to the top of it (which used to be the left side). I had to think out of the box, as the platforms were not so easily laid out, and got hit by a few of the traps. I don’t think I’ve played a game as complex or well-thought out as Refactor in a long time, or ever. I think it has the potential to go down as a truly innovating game, one that games might try to emulate or imitate, but I guess it’s still too early to say. All I know is, I’m very excited for this to come out.